HERE AT THE CENTER FOR COSMETIC & RESTORATIVE DENTISTRY we’re all about serving you. And to best serve you, we’ve taken some time to really define who we are and what we believe. 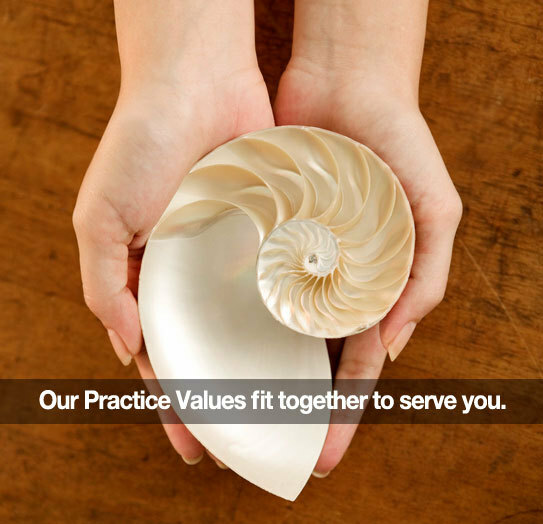 Our philosophy differentiates us as a “health partner”—not simply a dental practice. We value the relationships we develop with patients, and hope to serve you throughout your life. We strive to give you personal attention- you’re more than a number to us! First and foremost, our emphasis is on preventive dentistry. In turn, every treatment recommendation is clearly in line with long term oral health objectives. We invest in the very best materials, equipment, and technology to serve you. We devote time to improving our technical skills and treatment capabilities to be sure you benefit from the latest research and the most aesthetically pleasing results. We pay attention to the little things and do everything we can to maximize your comfort and satisfaction. We use social media to better serve you, our patients. We’re listening. We want to make it easy for you to connect with us. Open communication with you builds trust—and we’ll never take that trust for granted. We provide relevant information that’s beneficial to your health, appearance, and comfort. We’re connected with you. Typically we only see you every six months. Social media allows us to “see” (and connect with) you more often. Thanks for your continued support and friendship. Never hesitate to let us know how we can serve you better.